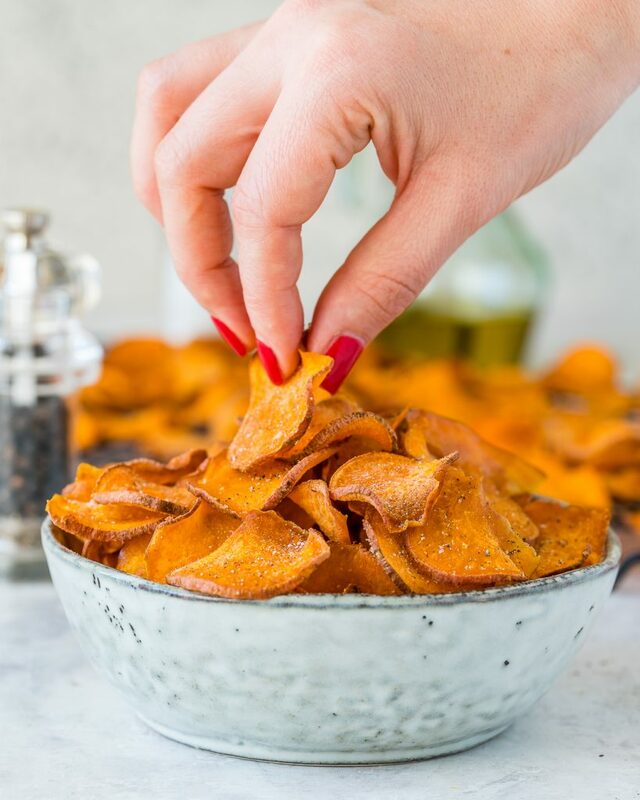 Baked Sweet Potato Chips are Perfect for Your Savory Cravings! 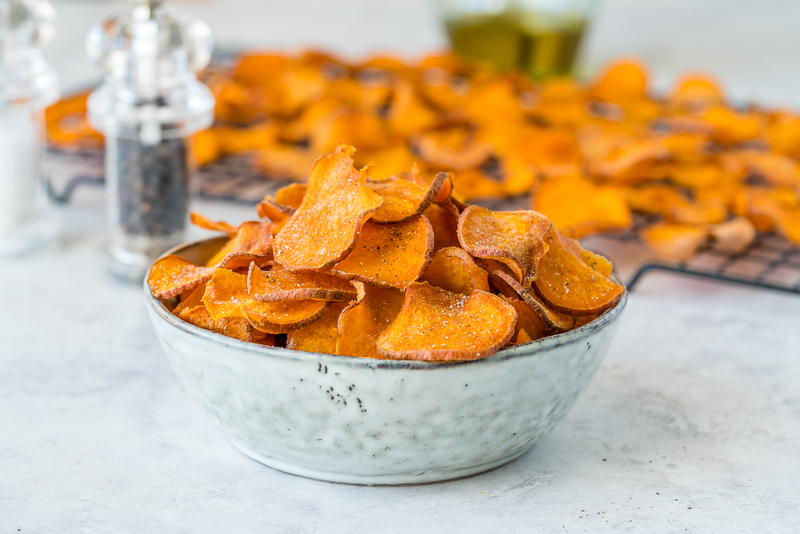 These chips are actually SUPER crispy + flavorful! Such a FUN, & healthy afternoon project! 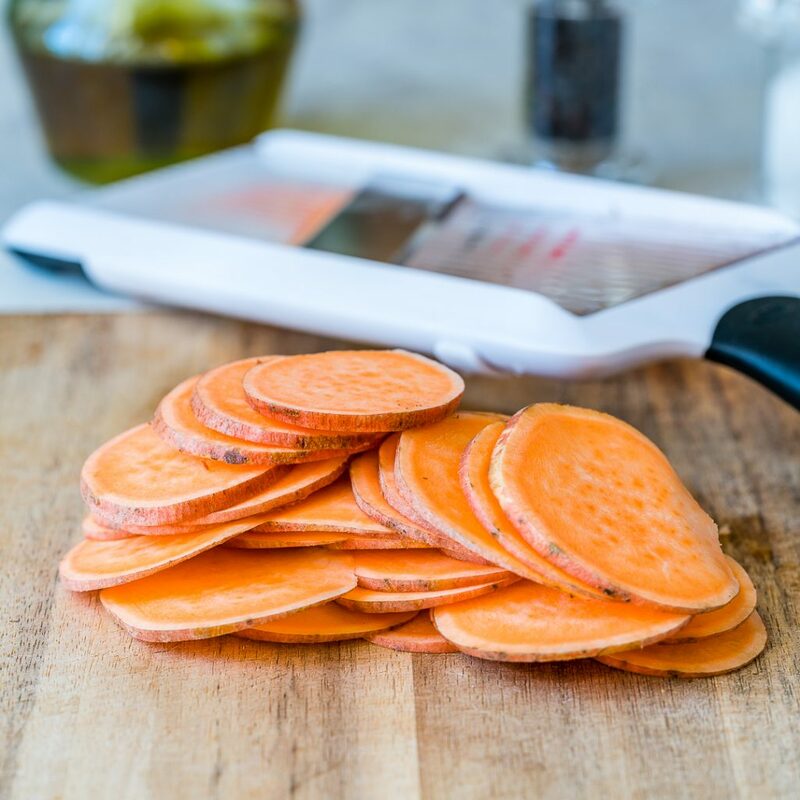 Wash the sweet potatoes and thinly slice them with a very sharp knife or by using a mandoline. paprika. Toss well to combine and evenly coat. 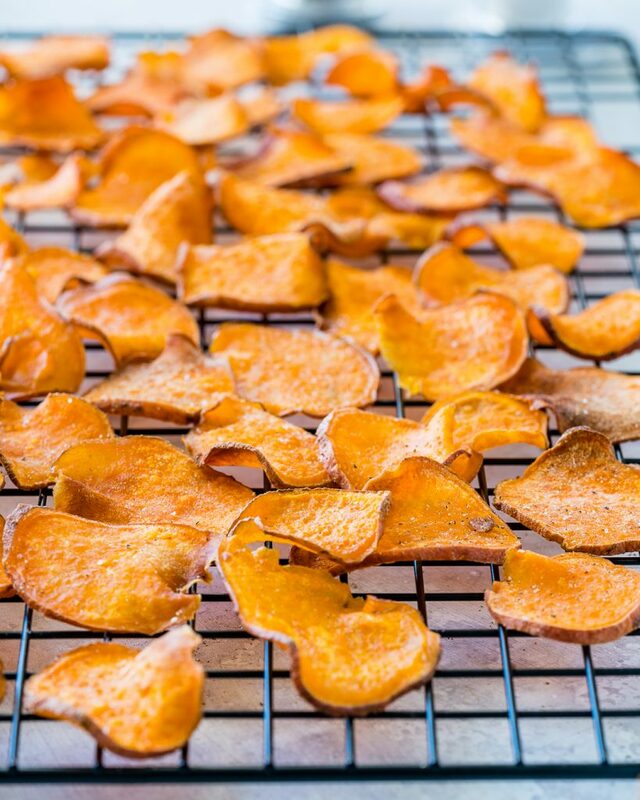 Arrange sweet potato slices evenly on the baking sheets. Sprinkle generously with salt and pepper then bake for about 15 minutes. 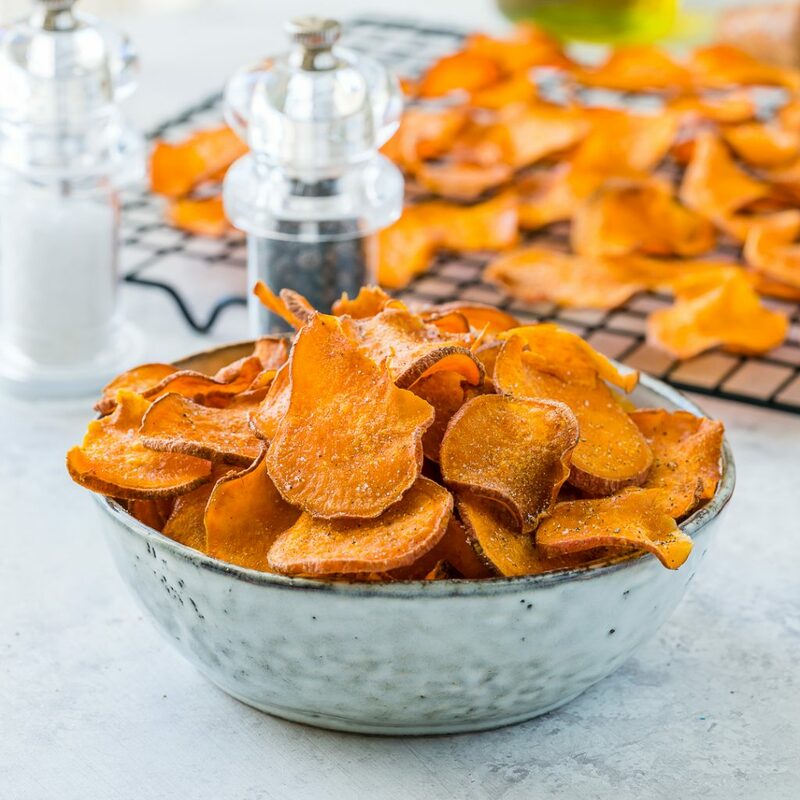 Flip sweet potatoes and lower the heat to 300 f.
Bake for another 15 minutes or until desired crispness. Keep an eye on them as they might easily/suddenly burn. Remove and transfer to a cooling rack. 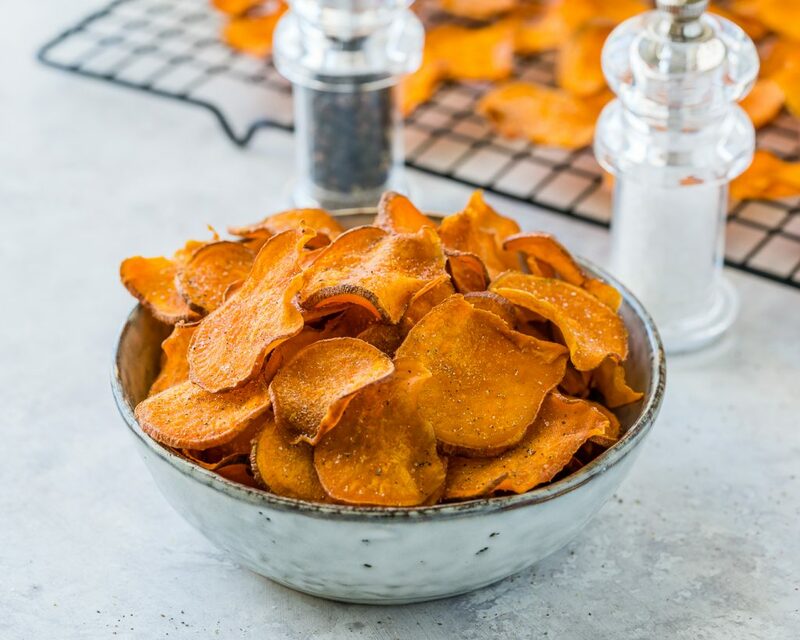 Repeat with any remaining sweet potato slices. Store in an airtight container. They will last for up to 5 days, but mine NEVER do!